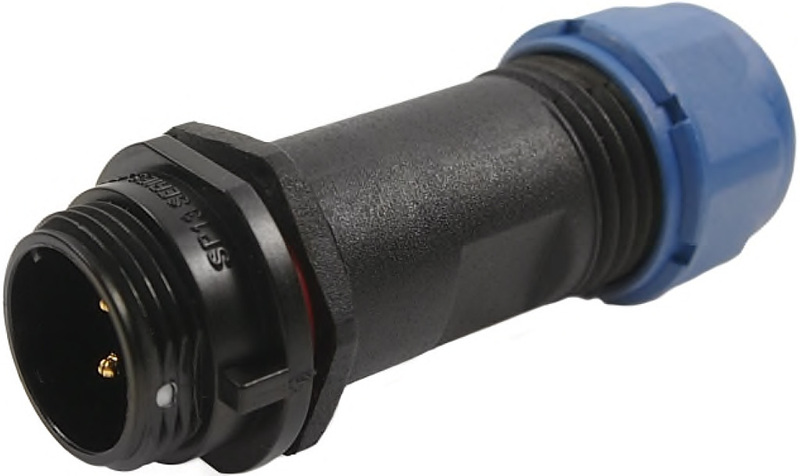 The Cliffcon® 68 is an IP68 rated multipin connector for waterproof and rugged applications. Panel hole cut-out size of 13mm. IP68 for under water, outdoors and indoors when mated or with optional cap fitted. 2 to 9 gold-plated contacts, (no 8 pin version). Sealing cap available for socket. Sold separately. Material: Plastic Shell, Nylon66, fire resistance V-0. Insert Material: PPS maximum temperature 260 °C,fire resistance V-0. Contact Material: Brass with Gold Plating. Cable Outer Diameter: 5 to 8 mm. Temperature Range: -25 to +85 °C. See the PDF data sheet: CliffCon® 68 Connectors (opens in a new window). FM68680x Front Mount Male Panel Socket where x is the number of pins. FM68681x Female Cable Plug Connector where x is the number of pins. 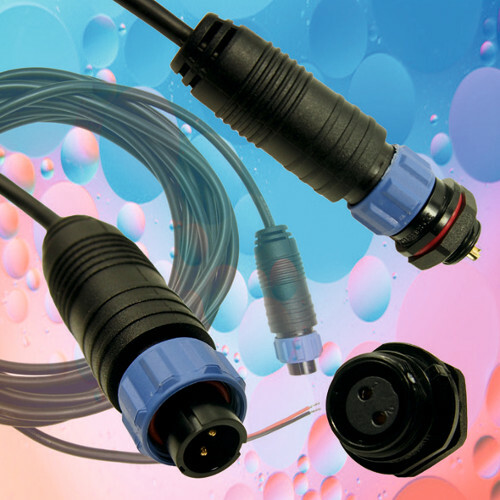 Accepts cable outer diameters from 5 to 8 mm. FM686832 2 Pin Female Panel Socket. 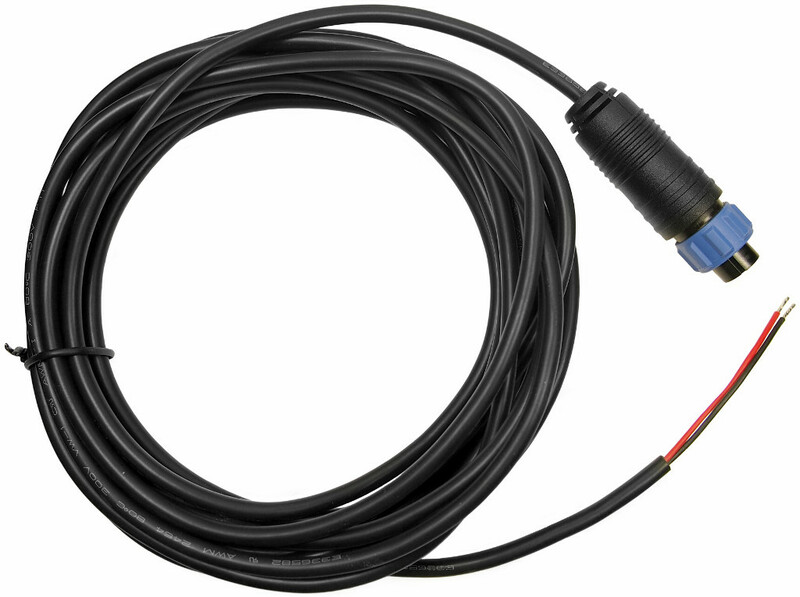 FM686822 2 Pin Male Overmould Plug with 5m Cable. FM68684x Male Cable Plug Connector where x is the number of pins. Two and three pin versions are currently available. Other models on request. 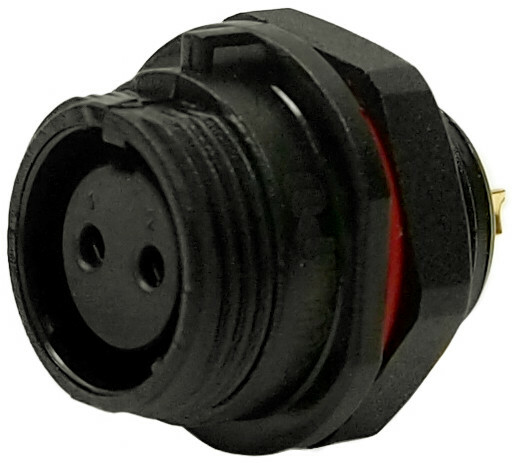 FM686842 2 pin male inline plug. FM686843 3 pin male inline plug.